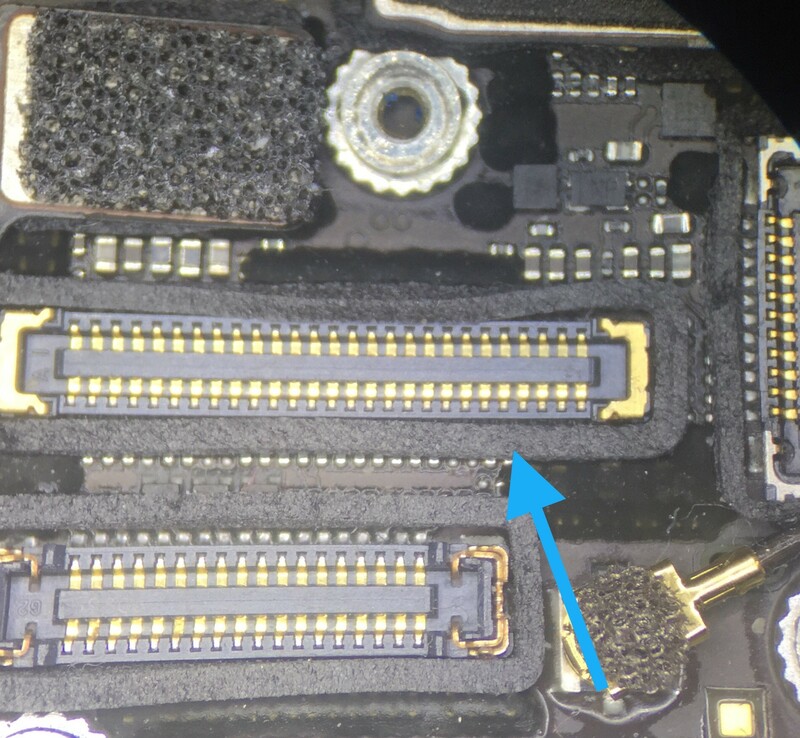 If you look closely at the picture above, you can see the row of small components sticking out underneath of the black foam. Those small components handle a lot of the functions of the screen, including the touch. 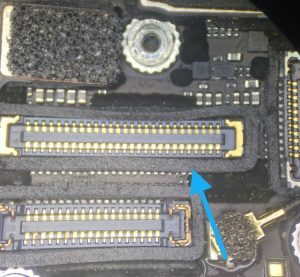 What happens that causes the loss of touch is that some of these small components are damaged when lifting the connector off of the logic board to take the screen off. See image below. If you want to send it to us for repair, then just fill out the quote request form and we’ll get back to you with a quote within 24 hours. hi i’ve the same problem but for an iphone 6s no touch?? ?